for use in the spring. We've created a large selection of Texas-based warm-ups for students in grades two through five, offering valuable practice to students and great accessment tools for teachers. What a fun way to practice your math facts! Use multiple sets for Math Night or start a campus competition! Over 4,000 problems per 6' x 3' poster. MathWarm-Ups.com copying rights are sold per grade per school. Please help us stop piracy. FREE 2-3 DAY SHIPPING ON ALL ORDERS! All orders ship within 24 hours of receiving order. All our products are black-line masters with copying rights. The price is determined by the total number of students in the grade. Most schools have up to 250 students per grade so can use the standard pricing; if you are an intermediate or grade-specific campus with greater than 250 students per grade, please use the higher pricing. 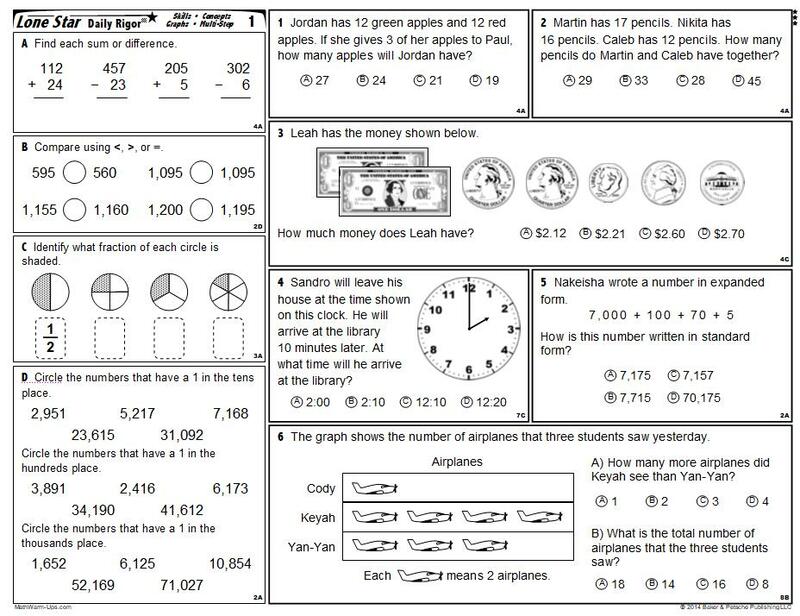 Half an hour of MathWarm-Ups each day will keep students current, helping them recycle concepts as the curriculum continues. As you know, test-taking skills are a big element when it comes to standardized math tests. 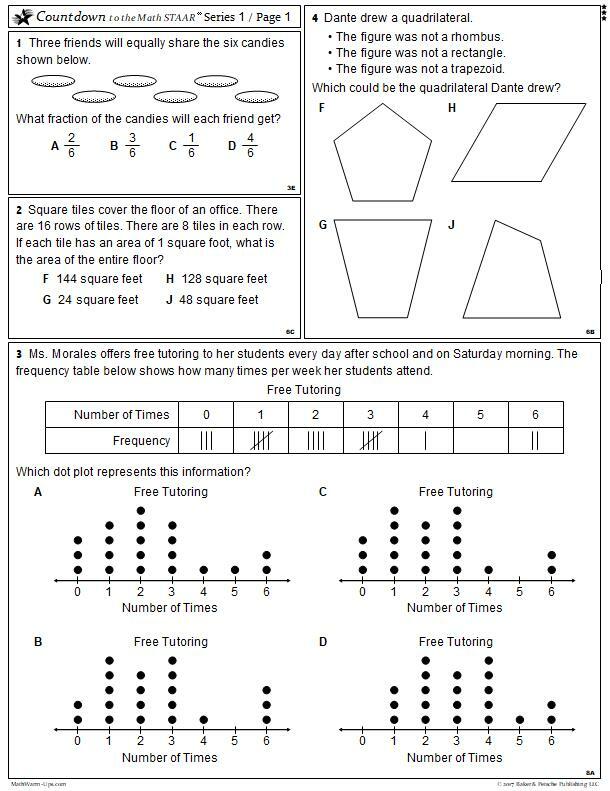 MathWarm-Ups will gradually develop these skills throughout the school year, which will leave students feeling familiar and comfortable with the format of the test questions. The questions included in MathWarm-Ups are developed using real life scenarios and socially diverse names. This helps students relate to the curriculum and see the relevance of math in their everyday lives. Teachers often comment about the innovative questions MathWarm-Ups uses to test the same old math concepts. Most elementary prodcuts are offered in English and Spanish. This lets educators choose between worksheets questions written in either English and Spanish. This has helped many students develop their math skills when English is a second language. Copyright 2016 Baker Petsche Publishing LLC. All Rights Reserved.